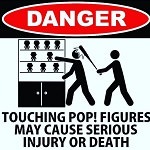 Board index Toy Talk Pop! We're not talking about soda, folks. 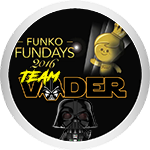 This forum is dedicated to Funko's stylish Pop! series of vinyl figures, with or without springs. This section is for general Pop discussion, not showing off your recent acquisitions. Please use the Dance Hall for collection addition pictures. Please post Funko subscription box and item discussions in the Powered By Funko section. Location: Island of Long Beach California. Good to see Seau in this wave. 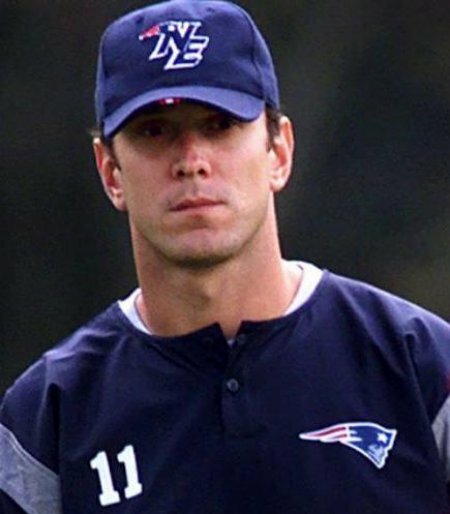 Love the Drew Bledsoe. Kinda wish he was wearing his NE hat, but Im just glad they included him. Jerry Rice!! I definitely need him. nyel24 wrote: i'm a giants fan so i'm good with this wave. though i am curious as to why they had brian bosworth. Go Giants. Hope they get that W tomorrow. I think if we give them a reason to make more with our money, they might just do it. I've given Funko so much of my money that I might need a second income. I'll pick up a few NFL ones, but not planning on going overboard. Lolz. I hope your joking. Restraint is key and collect things you have to have. I gotta get both bart starr pops. Go pack go! Disney pass holder. Southern Cali! 1000+ funko items. Collector since 2014. First pop was ghost rider. Social media freddy holder. Funko pop up shop 2017. Yeah an expansion on our house is way down the line for us if Funko lasts that long. We are getting our house built, and we couldn't afford to add a room just for Funkos. Kid rooms and office became a priority. Yeah tell me about. First baby is on the way. We are thinking of two so that meant downstairs all funko room had to be sacrifice such that it is now shared with office and guest room. My Joe Montana has been waiting for Jerry Rice. Can't wait to put the world's great DUO together again. ReggieB78 wrote: My Joe Montana has been waiting for Jerry Rice. Can't wait to put the world's great DUO together again. I still need Joe Montana! I am jealous of you. I really need Joe Montana funko pop. I bought him on Mercari for 50 dollars, and he dropped after that. I believe he is worth 70 now. Still looking for Roger Craig and Dwight Clark. Where is Richard “Refrigerator” Perry? I join you in the wish for Joe Montana. I am sad I didn't get a chance to get him. I would love Joe Montana to go with my Jerry Rice. I think a Steve Young would be nice. The great Jerry Rice for sure ... to have it signed would be great. Drove an hour for my Montana. I'd like Steve at least, maybe a Deion Niner version, or maybe Ronnie Lott. Drew is the man. I still haven’t got his pop yet but I plan to. I’m a huge pats fan from back in the day. Yes, HOF version in the jacket. I’ll put a vote in for LaDanian Tomlinson. pberickp wrote: I’ll put a vote in for LaDanian Tomlinson. Ill put another vote on there for LT!